GFS Metal Foil Pickups offer a unique combination of fullness, sweetness and crystalline, transparent high end. These use custom made bar magnets and vintage style scatterwound coils. The covers are all triple-chromed "German Silver", baseplate thin brass, and the entire assembly thoroughly wax potted for squeal-free performance. 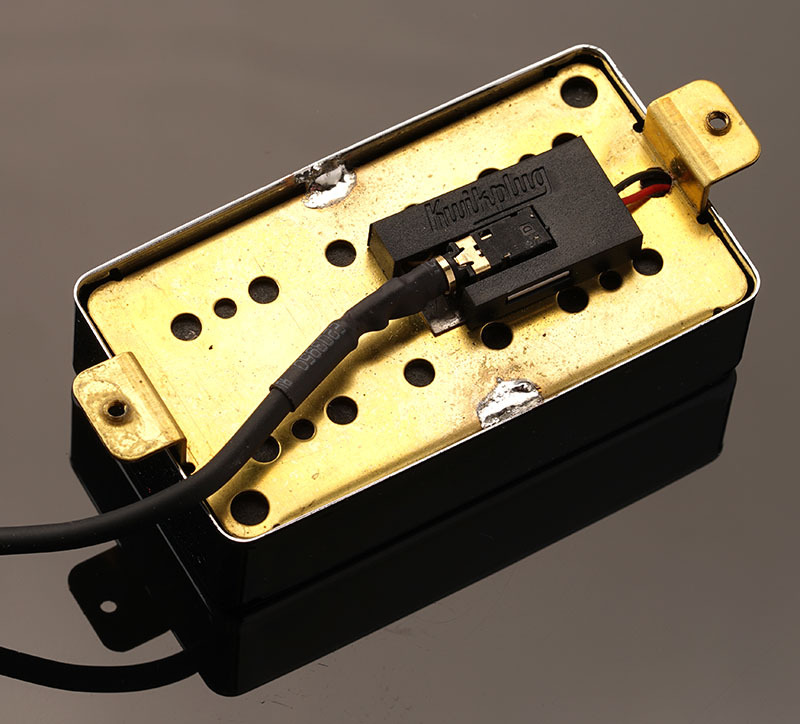 These are the single coil Metal Foil pickups that will mount in any standard humbucker location. 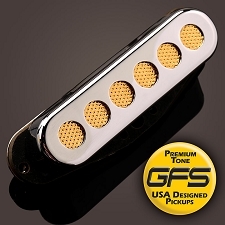 Each pickup uses a custom molded Ferrite magnet that gives you much more presence and a faster attack than a standard pickup. 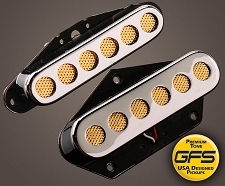 These are surprisingly loud and full but with a transparent "Kerrang" style high end that will remind you of Lipstick tube pickups.We have three versions: 5K, 6K and 7K. Each may be used for bridge or neck. 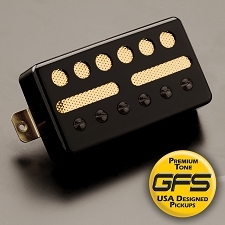 Each pickup comes with a 15" long lead that may be soldered to your existing pots and switch. For a typical guitar we'd suggest the 7K for the bridge and the 5K for the neck. For a brighter more crystalline bridge sound use the 6K in that position, for a thicker, warmer neck sound use a 6k in that position. 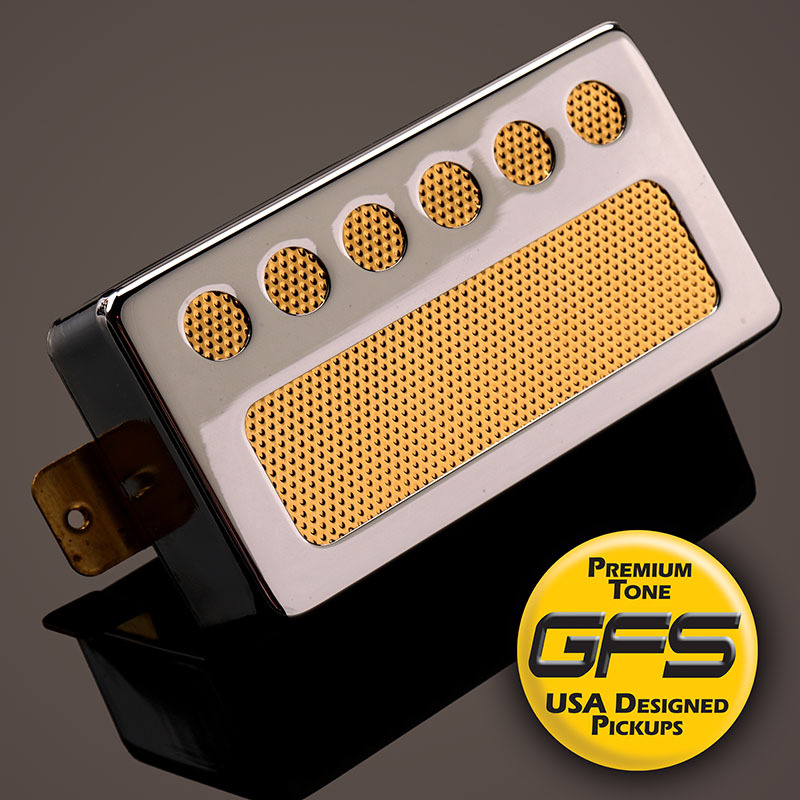 For the most vintage 50's/60's sound go with a pair of 5Ks. 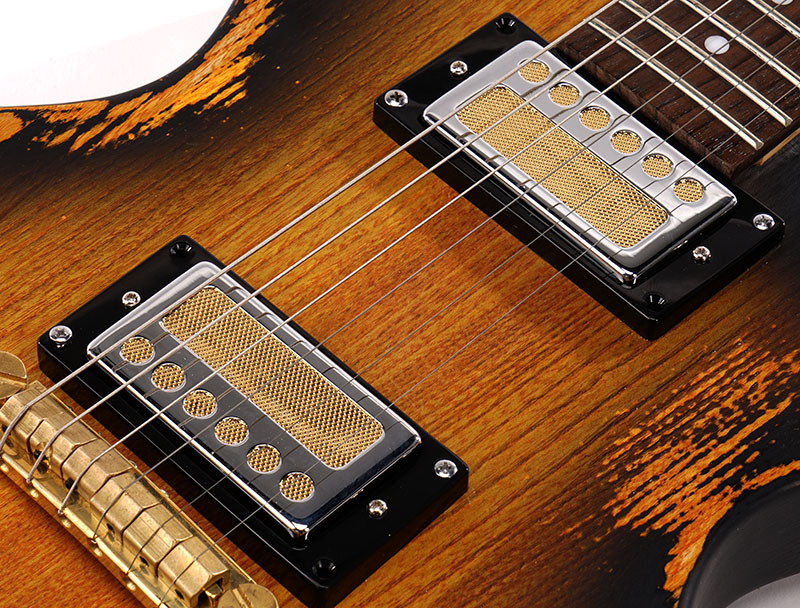 All three pickups are "Clock Wound" for the sweetest and most "present" in-between position. 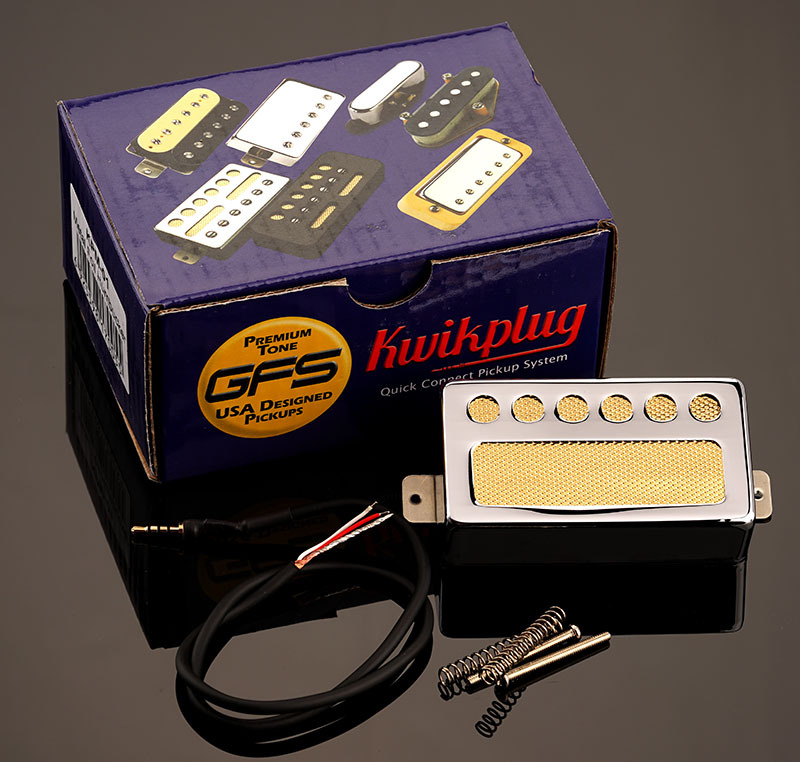 These are compatible with any Kwikplug wiring harness.